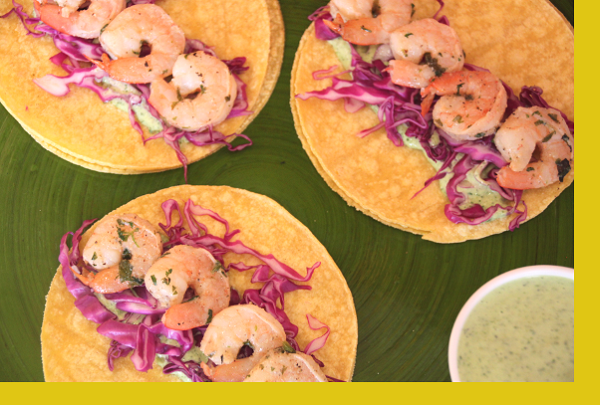 Shrimp marinated in a zesty cilantro garlic marinade with crispy red cabbage drizzled with cilantro mayo. 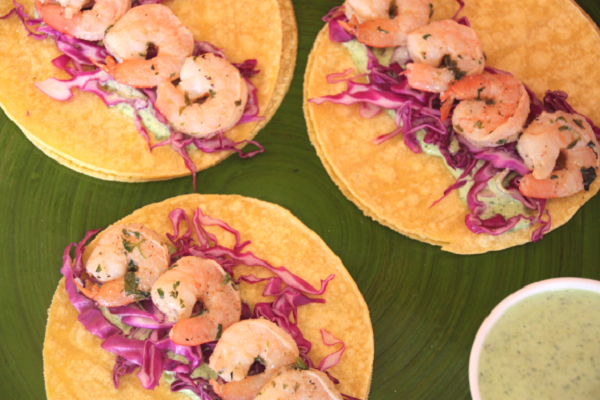 These baja shrimp tacos served with cilantro rice with wonderful, wholesome flavors. Shrimp, red cabbage, corn, cilantro, jalapeno, garlic, chicken broth, lemon juice, oil, spices. 1. Marinate shrimp at least 30 minutes prior to cooking but not more than 4 hours by adding the sauce to the bag of shrimp, mix and let sit in the refrigerator. 2. Once the shrimp marinates, heat a non-stick skillet over high heat. 3. Add shrimp to skillet, discarding marinade, and cook 2 minutes per side until pink, cooking in batches as needed (do not overcook). 4. Reheat tortillas and rice then serve with cabbage and cilantro mayo. These tacos are the best! Very easy to fix and they look pretty to serve. Have ordered these at least five times and they are always great! Would be perfect with freshly made tortillas from Tortilleria San Luis! Delicious and very easy and quick to prepare! Delicious and very easy to prepare! The cilantro mayo was perfect, and the shrimp were a good size and plentiful. Will order next time it is available!